Has another month really gone by already?! No way. 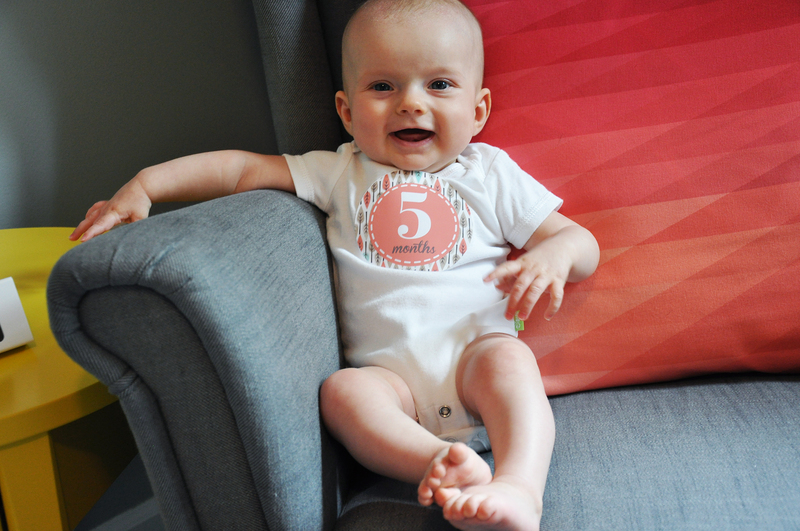 Dear sweet Mila is 5 months old and thriving! She’s changed a lot this past month, and it’s very exciting yet sad at the same time. Ben and I have decided not to have any more children so knowing she is our last is really bittersweet. I’m trying my best to cherish every milestone knowing we’ll never experience these moments again. So, what’s new you ask? Well..
Rolling over! She’s only rolled over a few times, but it’s an accomplishment nonetheless! Weighs about 14 lbs. We don’t know exactly how much she weighs, but first weighing myself, then myself with her she’s about 14 lbs. Growing gal indeed. Attempting to sit unsupported! She’s not quite there yet, but she’s getting so much stronger. We tried dropping her dream feed, but she ended up waking up early in the morning so we decided to keep it until she’s established on solids. Belly laughs! 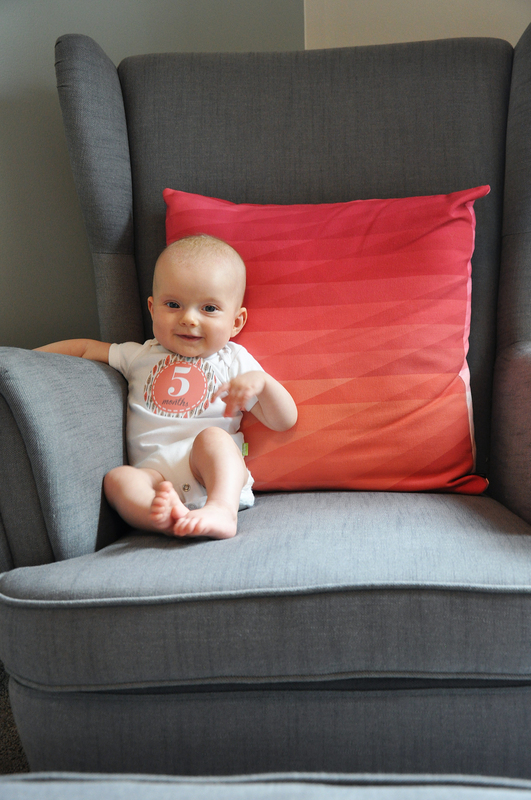 Her jovial sounds make me smile from ear to ear!